DIANNE H.B. WELSH is the Hayes Distinguished Professor of Entrepreneurship and Founding Director of the Entrepreneurship Program at The University of North Carolina Greensboro. This includes the Entrepreneurship Cross-Disciplinary Program and the North Carolina Entrepreneurship Center (Founder and Director, 2009-2011). She has previously founded two entrepreneurship programs and centers. 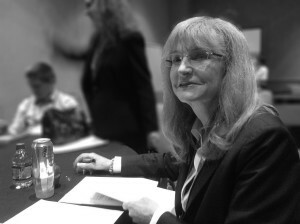 Dianne is a recognized scholar in family business, international entrepreneurship, and franchising and has seven books and over 150 publications. Her new book, Creative Cross-Disciplinary Entrepreneurship, published by Palgrave-Macmillan, is available December 2014. This year the conference is collaborated with the Journal of Library Innovation which will publish selected conference papers in a theme issue. The Conference for Entrepreneurial Librarians is sponsored by the libraries at Wake Forest University and The University of North Carolina at Greensboro. Look for more information about upcoming conferences soon. This panel presentation describes and assesses the effectiveness and success of a library Innovation and Program Enrichment Grant” started in 2010. Past grant awardees described their projects and experiences and analyzed their accomplishments. One group of librarians at UNC Charlotte is rethinking professional development through collaboration and the creation of communities of practice. A branch library is transformed from a traditional research library to a resource hub for students, faculty, and extended community, with a focus on unique services and community engagement. Launching something new in your library is perilous. By applying lean entrepreneurship principles you reduce time to launch and the money spent on the project. Tennessee Technological University’s library used allocations and departmental liaisons for collection development, but this created barriers and problems. The MyLibrarian program replaced these methods with great success. Fenwick Library research librarians seized opportunities to craft exhibit space in the Library’s main entrance/exit corridor. Adventures in management, partnerships and lessons learned were presented. A librarian taught veterans (the new constituency) business research discusses the planning, execution and the lessons learned from developing this workshop. Identify the components of a successful change initiative, including how to find and champion the change agents who will help you lead and influence the change in positive ways. Curious about a semester-long collaboration with faculty and students applying multi-disciplinary lenses to information literacy and user-centered database design in the corporate world? Join us! Creating an entrepreneurial model of resale, reuse, repurpose and recycling, thus fostering public awareness of sustainability, green librarianship and zero waste while raising funds. Learn how this public library solved a problem by introducing Chromebooks to its teen constituency. From purchasing, administrating, setting up, circulation and how it is working.